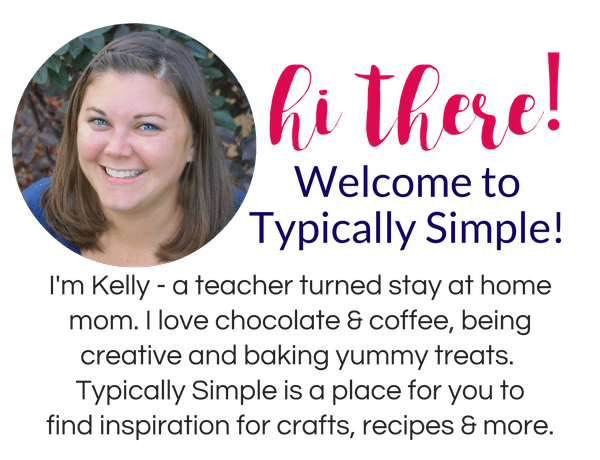 This STEAM activity is perfect for any time of the year! 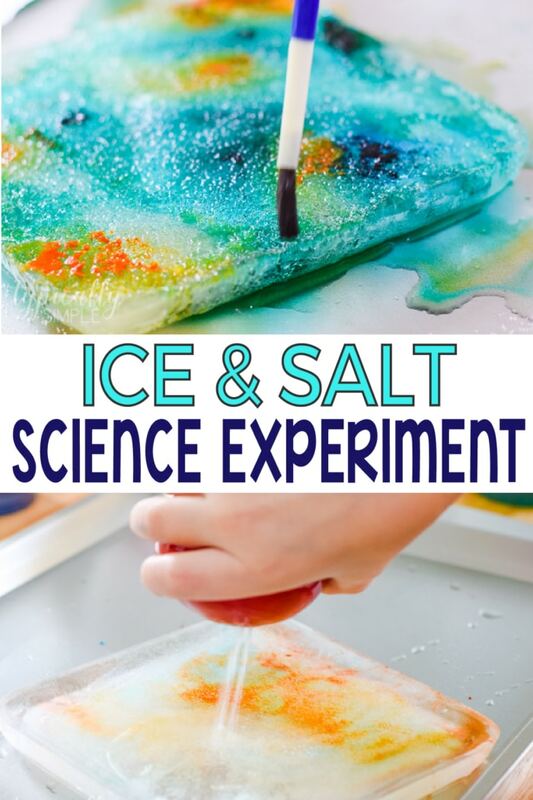 Kids will learn how salt can melt ice with this fun science experiment. Any activity that combines art and science is a win-win in our house. And for some reason, ones that include melting ice is extra fun! 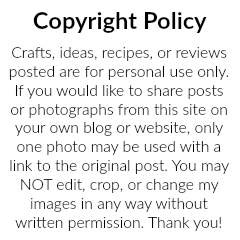 So we decided to turn all of our favorite things into a science experiment. 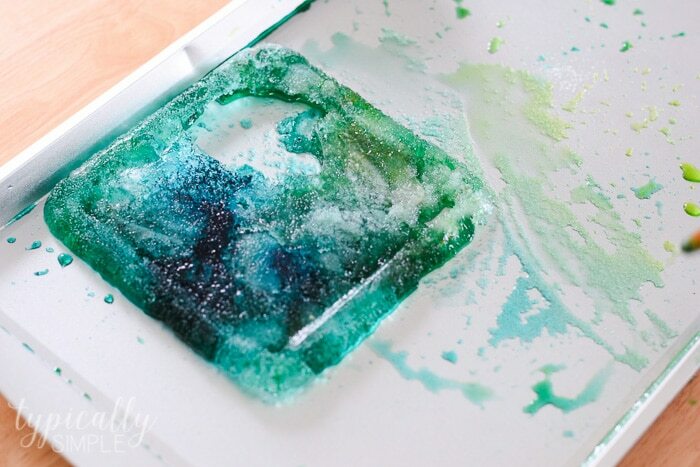 The first time we did this activity, it was pretty much a free for all with the salt, water, and food coloring. However, it did give us lots of talking points about why the ice melts faster with salt. The salt lowers the freezing point of water, which brought up a whole slew of other questions from my little scientist…thank goodness for Google! The sections of ice that had lots of salt on it formed little craters that we were able to see right away. 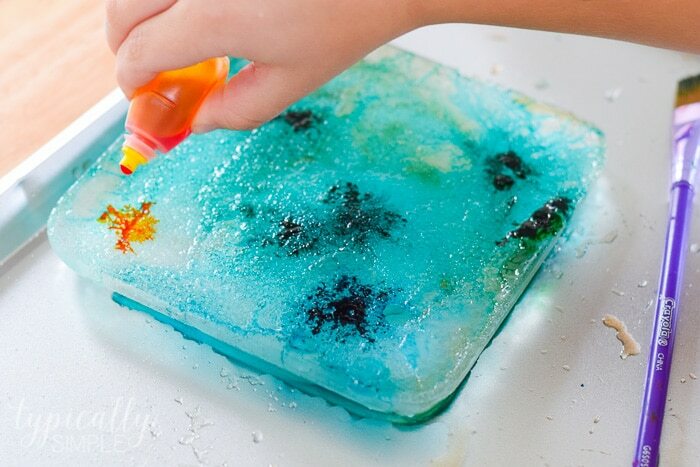 And with the help of colorful warm water, we created even bigger craters in the ice. The actual experiment part came into play when we sprinkled salt on one half of the ice block and not the other. We made some predictions then observed what was happening. 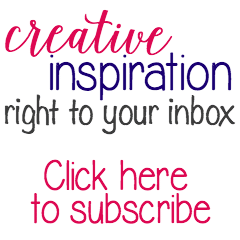 Depending on the age of the kiddos, there are so many ways to extend this activity. You could have two different ice blocks, one with salt, one without and then measure how much water has melted off after a certain amount of time. 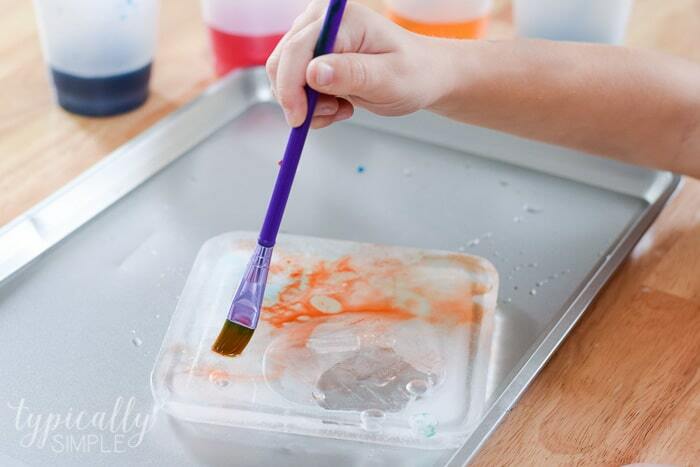 You could try different types of salt or the change the temperature of the water added to the watercolors. And as with any science experiment, it’s important to talk to your kiddos about safety including how to use the equipment appropriately. They can even use science safety goggles and lab coats during the experiment. Set up is fairly easy for this experiment. I filled some plastic containers of different sizes and shapes with water and placed them in the freezer overnight. 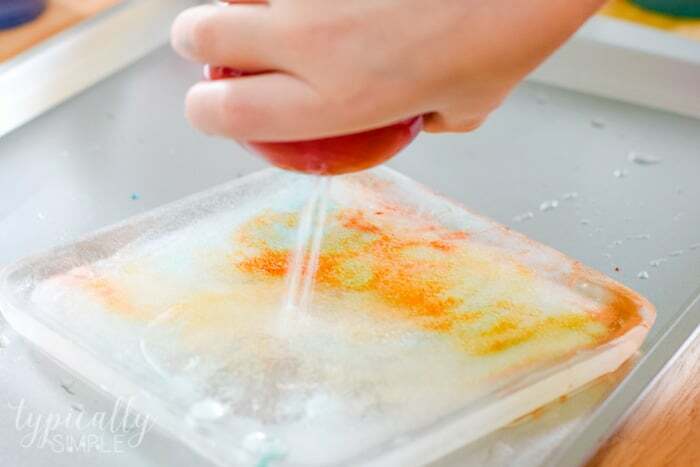 If you are doing this in the winter and it’s cold enough, you could also freeze them outside…which would make for another great science conversation! When we were ready for the experiment, I mixed a squirt of liquid watercolor and a little warm water into some cups. 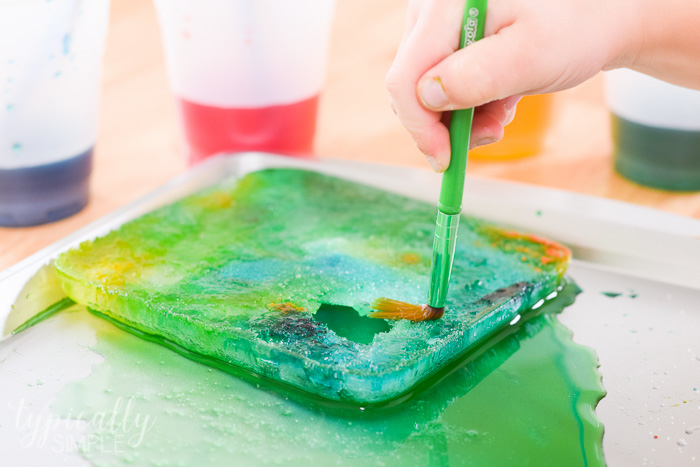 Then I placed the ice onto a tray and let the little scientist get to work using salt, paint brushes, and pipettes. The tray helps keep everything pretty well contained which makes for a quick and easy clean-up. Sometimes I will put everything into a larger plastic container which allows for more open play after doing the guided experiment. 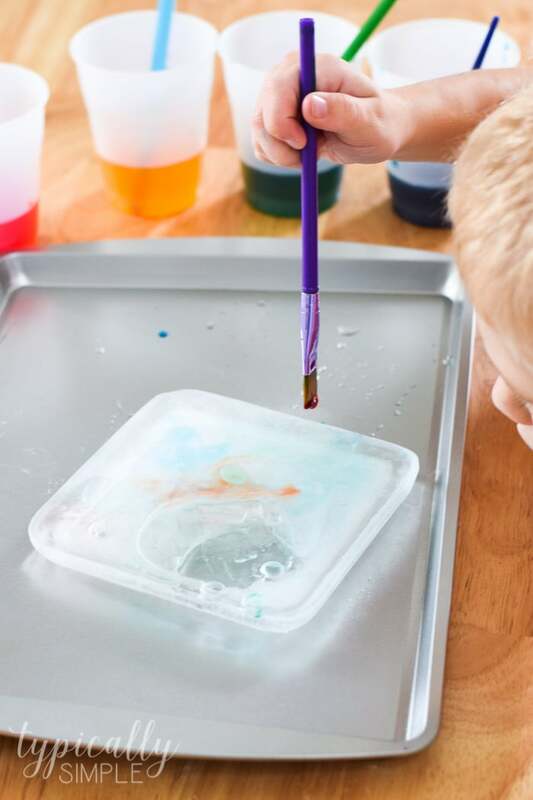 With the colorful art process of painting the ice, mixed with the science experiment of salt melting the ice, this is a fun way to introduce STEAM to your little scientists!